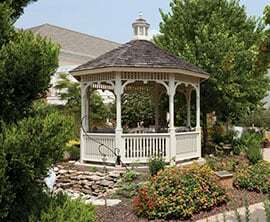 Unlike any other retirement community in Virginia—and we’d be delighted to prove it to you. Our Continuing Care Retirement Community is its own private oasis—a beautiful, 50-acre campus filled with everything you need to nourish your mind, body and spirit. Located in Richmond, Virginia, it is convenient to a variety of popular area attractions and a short day trip to the mountains and the ocean. Our world-class Sara Belle November Theater is a hub of activity. Our season’s schedule is full of national performers and local favorites, and has included the Capitol Steps, the Susan Greenbaum Band, the Richmond Ballet, Virginia Opera and Virginia Repertory Theatre. For budding artists our McGue-Millhiser Arts Studio offers more than 40 classes and workshops each month. Our H. Scott November Gallery, Gordon Woodworking Shop and Cochrane Pond are also among our prized amenities. Intergenerational experiences abound as residents are invited to share love and wisdom with the 140 children in our onsite Child Development Center. Explore our Interactive Campus Map to discover more! Something that does not show on our map but can be found throughout our campus: A spirit of generosity. Our residents enjoy giving back, contributing towards the greater good through volunteer opportunities on and off campus. And the feelings are mutual: residents of Greater Richmond enjoy coming here to volunteer their time with us. Whether you’re in the mood for a relaxed meal with friends or a fine dinner and cocktails we have a venue to suit the occasion. And don’t miss the entertainment! Bring your neighbors or that special someone to enjoy live music and great food. 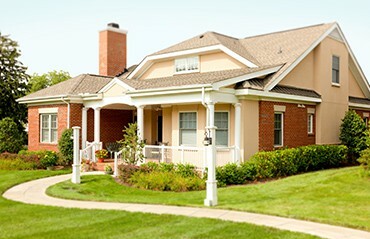 Explore our magnificent Residential Living, and choice of various floor plans, all with relaxed Virginia charm. Everything is within easy reach when you live at Westminster Canterbury Richmond—entertainment, lifelong learning, freedom of choice, new friends…and access to routine healthcare, continuing care, and preservation of your assets for life. Prove our value with our online Cost of Living Calculator and Cost of Care Calculator! Then factor in the peace of mind for you and your family: Priceless! Stroll across our sunny campus, tasting our chef’s best, and exploring the inviting choices to make Westminster Canterbury your new home.